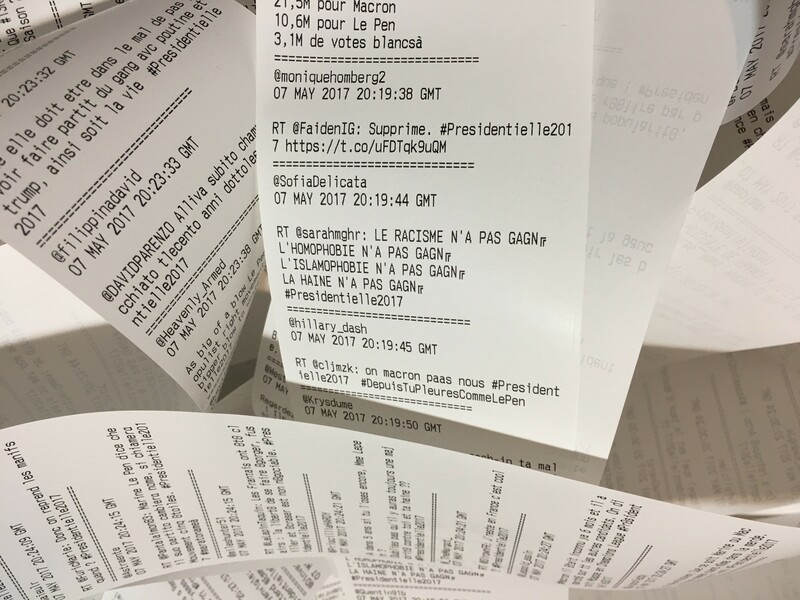 The video shows 30 minutes of live printing a selection of tweets between 8:13 and 8:47 pm at the evening of the french election on May 7th, 2017, containing the hashtag #La Presidentielle2017. Independent centrist Macron has defeated Marine Le Pen by 65.1% to 34.9% according to French state television estimates, as counting continues. 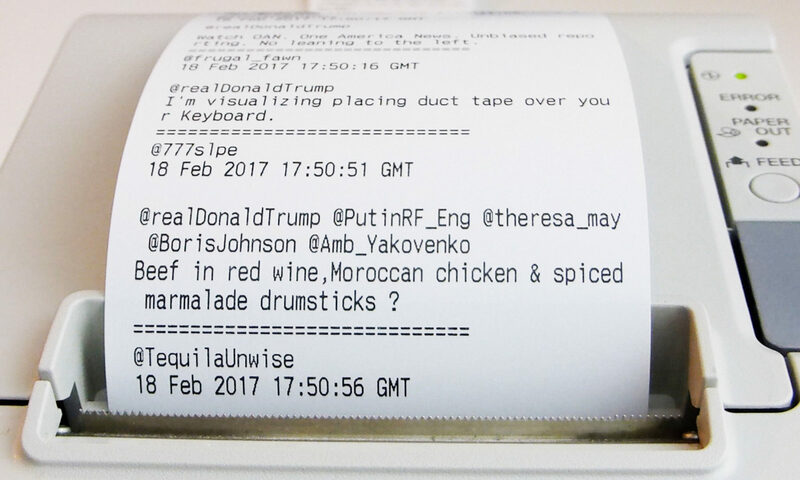 Tweets are mostly in french.